Comm Eye Health Vol. 31 No. 102 2018 pp S13 - S14. Published online 24 August 2018. Manager: Research, Mission for Vision, Mumbai, India. Senior Manager: Programme Development, Mission for Vision, Mumbai, India. Head: Programme Impact, Mission for Vision, Mumbai, India. Head: Programme Development, Mission for Vision,Mumbai, India. Chief Executive Officer: Mission for Vision, Mumbai, India. 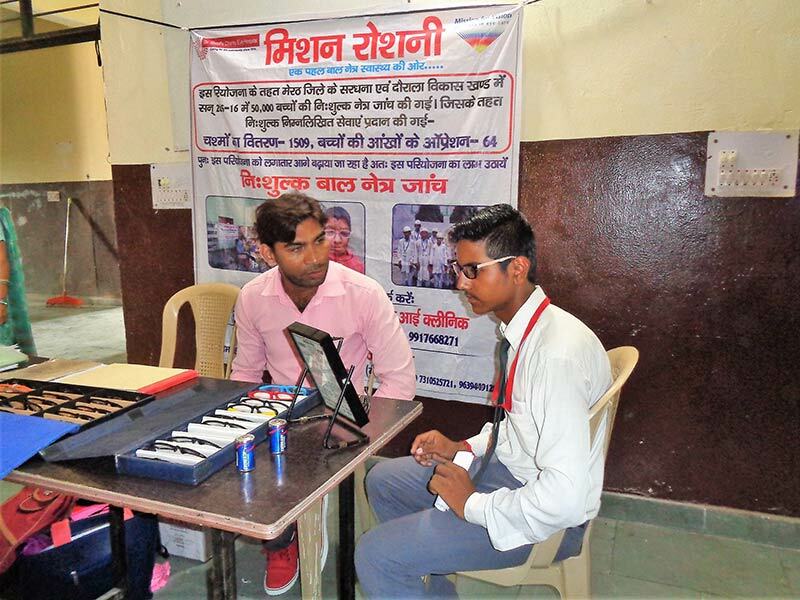 Active and sustained involvement of existing community health workers in primary eye care service can help South Asian countries tackle a major challenge in the region – lack of trained human resources. 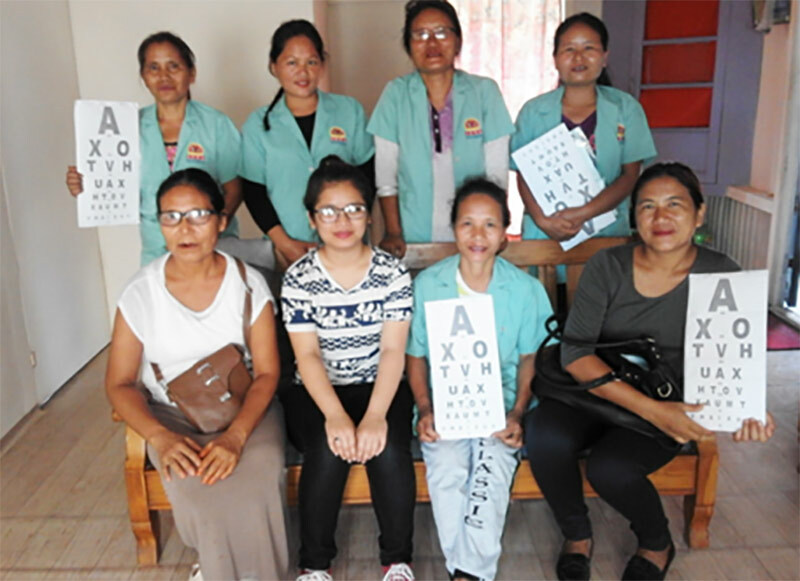 In 2016, local MAS were co-opted to improve demand for eye services in the region and over the last couple of years 504 MAS workers were trained. These training programmes were tailor-made to suit the needs of the project. No monetary incentives were provided to MAS for their role in the project. In the last two years, the nine VCs catered to about 40,000 patients, of which MAS accounted for about a quarter of all referrals. Actively engaging MAS workers has contributed to an increase in the uptake of primary eye health services, and ensured provision of appropriate follow-up services to the patients. High rates of attrition was the main challenge while working with MAS workers. 1 Bourne RRA, Flaxman SR, Braithwaite T, Cicinelli MV, Das A, Jonas JB, et al. ; Vision Loss Expert Group. Magnitude, temporal trends, and projections of the global prevalence of blindness and distance and near vision impairment: a systematic review and meta-analysis. Lancet Glob Health. 2017 Sep;5(9):e888–97. 2 National Programme for Control of Blindness (NPCB). Ministry of Health and Family Welfare, Government of India, New Delhi, India. Available from: http://www.npcb. nic.in/ [accessed on 2018 July 13]. 3 World Health Organisation. Universal eye health: A global action plan 2014 – 2019. 2013. Geneva, Switzerland. Available at: http://www.who.int/blindness/AP2014_19_English.pdf?ua=1 [accessed on 2018 July 13]. 4 Murthy GVS, Gupta SK, Bachani D, Tewari HK, John N. Human resources and infrastructure for eye care in India: current status. Natl Med J India. 2004;17(3):128-34. 5 Misra V, Vashist P, Malhotra S, Gupta SK. Models for primary eye care services in India. Indian J Community Med. 2015;40(2):79-84. 6 Integrated Child Development Services (ICDS). Ministry of Women and Child Development. Government of India, New Delhi. Available at: http://www.icds-wcd.nic.in/icdsteam.aspx [accessed on 2018 July 13]. 7 Bhattacharya S, Kundu S, Kumar SGP, Kurian E. Mission Roshni: Lighting up the world of India’s children. Comm Eye Health South Asia 2017; 30(98): S27-28. 8 National Rural Health Mission. Ministry of Health and Family Welfare, Government of India, New Delhi. Available at: http://nhm.gov.in/communitisation/asha/about-asha.html (accessed 16 July 2017) [accessed on 2018 July 13]. 10 Ministry of Health and Family Welfare. National Health Mission. Induction module for Mahila Arogya Samiti (MAS). 2013. Ministry of Health and Family Welfare. Government of India, New Delhi. Available at: http://nhm.gov.in/nhm/nuhm/asha-mahila-arogya-samiti-training-module.html [accessed on 2018 July 13].